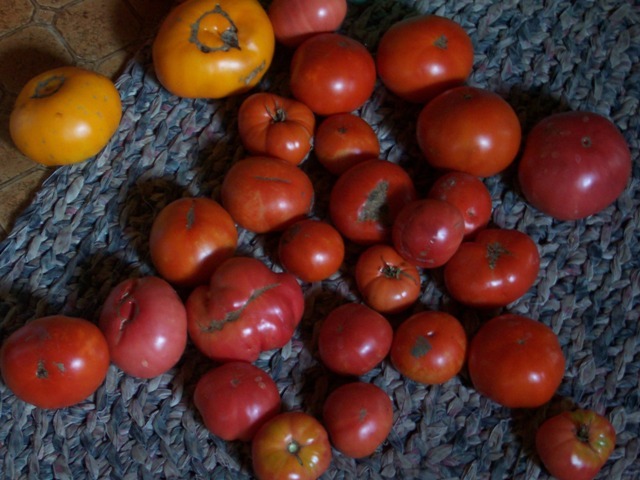 Fresh tomatoes from Kevin and Linda’s garden. 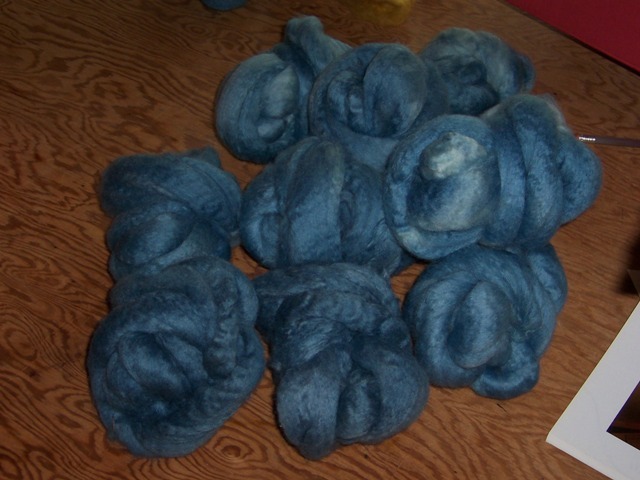 Balls of carded fiber, dyed with home-grown indigo by Linda. After hurricane Earl blew through, we had a gorgeous weekend. 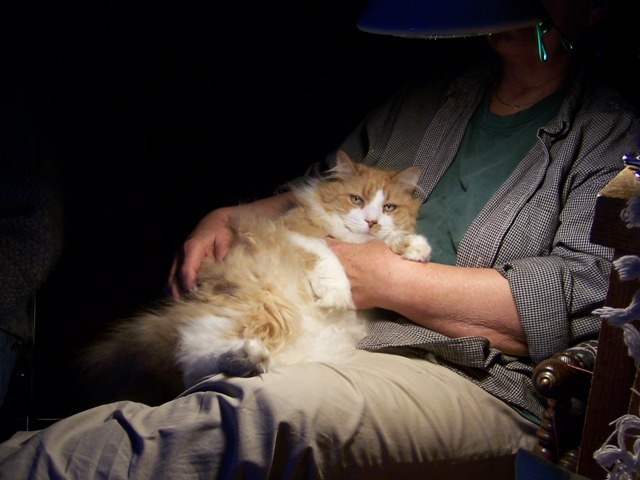 Monty is suspicious of visitors, but braved our presence to spend a few minutes on Linda’s lap Sunday evening while we were watching movies. Hope y’all are having a good week; happy 15th of September … in six more days it will officially be fall. 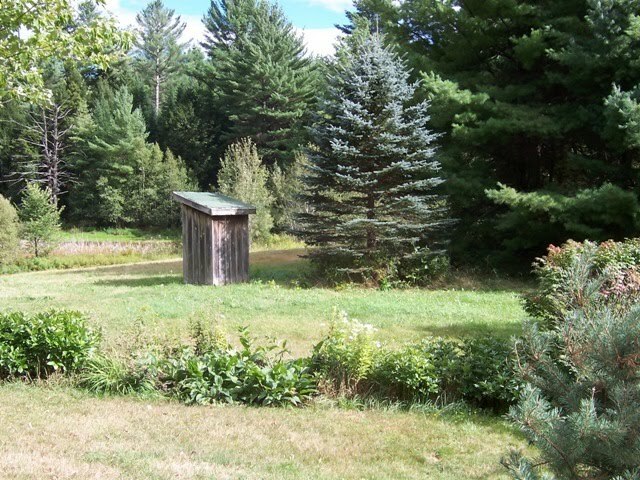 Maybe next time we head north, there will be some red and orange color in the trees.